The Granada Sofa & Love are covered in a slate gray, super soft breathable performance fabric, with distinctive triple rolled back & lumbar cushioning. 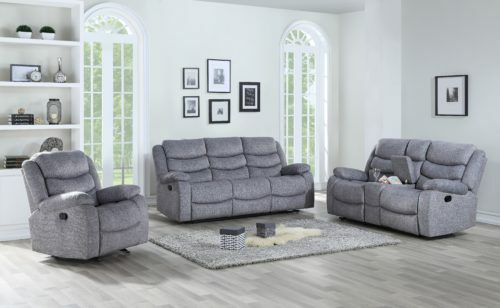 Perfect for entertaining and a Console Loveseat with stainless steel drink holders, storage and USB charger. Available with Power or Manuel recline options.